Preheat oven to 180°C (350°F). Heat a heavy-based ovenproof casserole dish on a stovetop over high heat. Score the chicken skin at regular intervals, drizzle with the oil, sprinkle with salt and pepper and toss to coat. Add to the dish and cook for 6–8 minutes each side or until well browned. Remove from the pan and set aside. 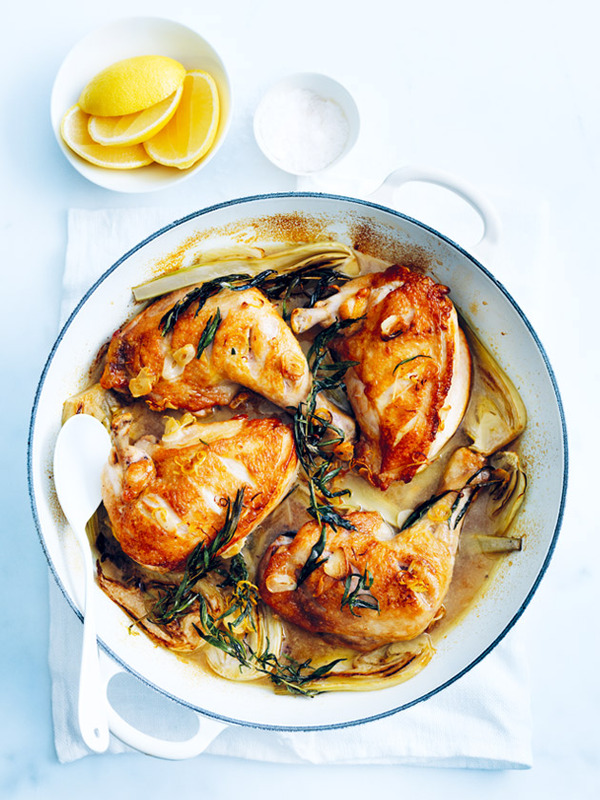 Add the tarragon, lemon, garlic and fennel to the dish and cook for 2–3 minutes or until golden. Return the chicken to the dish with the wine and stock and bring to a simmer.